My name is Dave MacDougall and I am the owner of Sunshine Boating. When you call or e-mail for information about a yacht charter you are working with someone who has the answers and will be part of your trip from start to finish. I believe that when the customer is working with the owner, they are getting the best possible service. I was a yacht charter broker long before forming Sunshine Boating and I have created and maintained strategic relationships with industry professionals to deliver a well rounded experience for my clients. Creating a unique experience for you is what this company is all about. I work directly with other yacht owners, yacht management companies, marina dock masters, catering owners as well as with hotel and restaurant operators to offer my clients anything and everything that they might need in making their charter experience a complete success. I have been helping people find the right combination of goods and services for my entire career. Your charter is unique and it shall get the attention it deserves. When it comes to your specific charter event, my experience in planning and executing a comprehensive itinerary is delivered with precision. I am working with 200+ different yachts right now covering five market segments (luxury vacation yachts, party yachts for corporate and social groups, powerboats, sailboats and sport-fishing boats). The bulk of my fleet is based between Fort Lauderdale and Miami, Florida. We have many fine vessels in the Bahamas and the Caribbean and a sprinkling of yachts in the Keys and points northward to Palm Beach. Many yachts can be transferred to other areas but it can be easier to drive one hour in a car or take a short flight to meet a yacht than the 5 to 24 hours it could take to deliver that yacht (plus the hefty delivery fees). 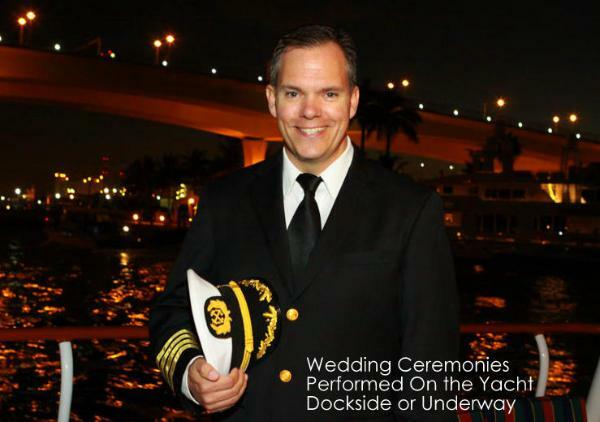 Interestingly, I have helped clients from around the world find the right vessel for day-trips, weekends getaways, vacations, convention parties, weddings, high-end corporate dinners and hundreds of family events. I have assisted people from Australia, New Zealand, Japan, Russia, India, Sweden, Finland, Denmark, Germany, Switzerland, Spain, France, Italy, Ukraine, Poland, Belgium, England, Ireland, Scotland, South Africa, Morocco, Nigeria, Brazil, Paraguay, Uruguay, Chile, Argentina, Columbia, Venezuela, Peru, Ecuador, Bolivia, Nicaragua, Panama, Costa Rica, El Salvador, Honduras, Guatemala, Mexico, Canada and from nearly every State in the Union. My focus is on the customer experience. No other company has the breadth of products nor the intimate knowledge and inner workings of those yachts. I fully understand the products that I represent and will be there to meet you at the dock. A personal touch goes a long way in making your charter a success and I have the ideas and resources to make it happen. Check out our Services I have a passion for being on the water and I am driven by an entrepreneurial spirit to be the best at what I do. My goal is very simple, give my clients an experience they will never forget and always over deliver on what was promised. Most days you will find me at one of the South Florida marinas meeting with clients, captains, owners or industry professionals. My background of matching various business elements to client specific needs satisfies my creative side and business ego because I beat the competition and provide unique events for my clients. There are many groups I have already assisted. Click here for a partial list of companies that have hired me as their boat guy. Some events are posted in our gallery. Please give me a call or send me an e-mail. I look forward to creating a memorable experience for you and your VIP group.